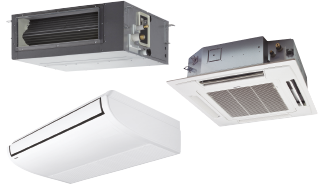 Panasonic has an impressive range of support services for designers, specifiers, engineers and distributors working in the heating and cooling markets. 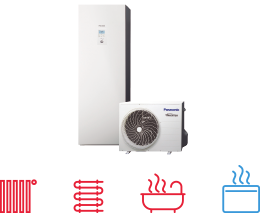 Panasonic announces a new initiative for all professionals involved in the heating and cooling business - the Panasonic PRO Club (www.panasonicproclub.com). This exciting new portal provides distributors, installers, engineers and specifiers with a direct communication channel with one of the industry's major manufacturers. 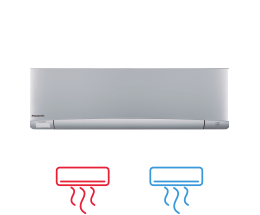 The website contains a wealth of information from the latest versions of Panasonic's Aquarea and Etherea Design Software, to Technical Documentation, Catalogues and Images for the company's wide range of heating and cooling systems - all in an easy to navigate and use website. Also, registered users will be able to access news regarding special promotions and take advantage of these offers, as well as access helpful business advice such as ideas and guidelines for showroom decoration or van livery featuring Panasonic logos and display material. Panasonic takes its responsibility to its distributors, specifiers and installers seriously and has developed a comprehensive Training Programme. The Panasonic Pro-Academy encompasses the traditional hands-on approach, as well as embracing today's technology to offer an eLearning facility available 24 hours, 7 days a week! The courses are offered on site at Panasonic's premises across Europe as well as via the Panasonic ProClub eLearning site. 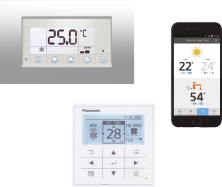 The Training Centres display Panasonic's latest product range and give delegates an opportunity to get hands-on experience with the latest controllers, indoor and outdoor units from the VRF ECOi, Etherea, GHP and Aquarea ranges. Panasonic provides bespoke software helping system designers, installers and dealers to very quickly design and size systems, create wiring diagrams and issue bills of quantities at the push of a button. · Easy to use system wizards. · Auto piping and wiring features. · Converted duties for conditions and pipework. · Auto CAD (DXF), Excel and PDF export. · Detailed wiring and pipework diagram. 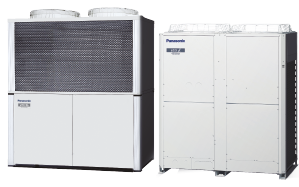 This program allows HVAC designers, installers and distributors to identify the correct heat pump for a particular application from Panasonic's Aquarea range, calculate the savings compared to other heat sources and very quickly calculate CO2 emissions. · Type of hot water tank, storage capacity and hot water target temperature. Aquarea Designer will calculate the project's energy costs in terms of hot water, heating and pumping. It will show the equipment running times and calculate the COP (coefficient of performance). It then allows the designer to show clients a comparison with other equipment options such as heating by conventional gas-fired boilers, oil systems, wood, standard electric heating and electric night storage heaters. This compares running costs, initial investment costs and maintenance costs. The comparison can also be made for CO2 emissions and savings.